No one asks the government for a penny. Everything is accomplished through donations. Corporations have given much. But the average contribution is $76. And all of that private money has been keeping an airborne eye hospital traveling for 30 plus years to more than 90 countries, performing surgeries to restore sight and training doctors. The organization known as Orbis recently christened its latest hospital aircraft, an MD-10, which, were it not equipped with state-of-the-art surgical gear, could serve as a giant cargo plane. The plane was donated to Orbis by FedEx in Memphis, and a retired employee of the shipping company, Jack McHale, spent six years as a volunteer leading a team to raise $30 million to outfit the cabin with the ophthalmological equipment for repairing retinas, cataracts, and any problem associated with the eye. “There are 4 million blind kids in the world; half of them don’t have to be,” said Bob Ranck, president and CEO of Orbis International. Orbis was founded in the early 80s. The concept was to bring together skilled ophthalmologists and travel them to international locations where eye surgery was not readily available. Doctors were trained and patients were treated, and the charity was funded without money or influence from any government agency in any country. 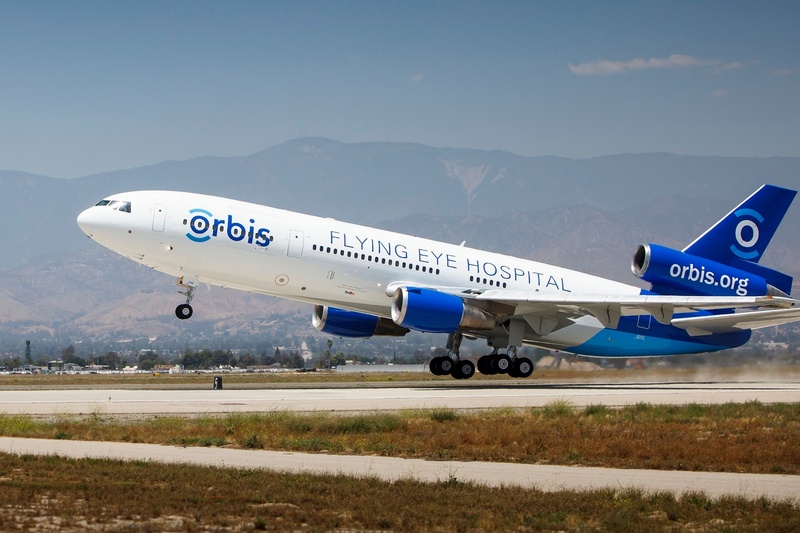 The new Flying Eye Hospital replaces a DC-10 aircraft that had been airborne since 1994. The current plane, which leaves on its first journey in September, took six years and 250,000 man-hours to build. There are 40 tons of medical equipment on board and 17.6 miles of cabling. Several doctors will make its inaugural trip, which will be to Shenyang, China. “This isn’t about politics or all this inflammatory rhetoric or our nation versus your nation and war. This is about joining together to help people who can’t see,” said Dr. Steve Charles, a Memphis physician and renowned vitreoretinal surgeon. Charles has worked with Orbis since 1987 and was aboard the previous plane’s first flight, which was into Moscow. He has performed more than 36,000 vitreoretinal surgeries. Orbis International spends a year preparing for each surgical and training trip, which lasts three weeks. To teach doctors after the plane has been secured in a foreign country, the Orbis Flying Hospital has 3D video and broadcast capabilities in a 46-seat classroom, located in the forward cabin in what is normally the first class space. Hundreds of experts have worked tirelessly to design and build the new flying hospital, which also includes patient-care and laser-treatment rooms, an operating room, sterilization room, and a recovery room. If ever there were an example of Corporate Social Responsibility, it is manifested in this case by Federal Express, the company that donated the giant plane, raised the money for the medical equipment, and offers its pilots to fly the plane around the world. Gary Dyson, who has flown the Orbis Flying Hospital to 30 different countries, said he could hardly explain how it has affected him. “The experience is seeing someone who can’t see on Monday, see on Wednesday. It’s a life-changing event for them and it’s a life changing event for us,” said Dyson. 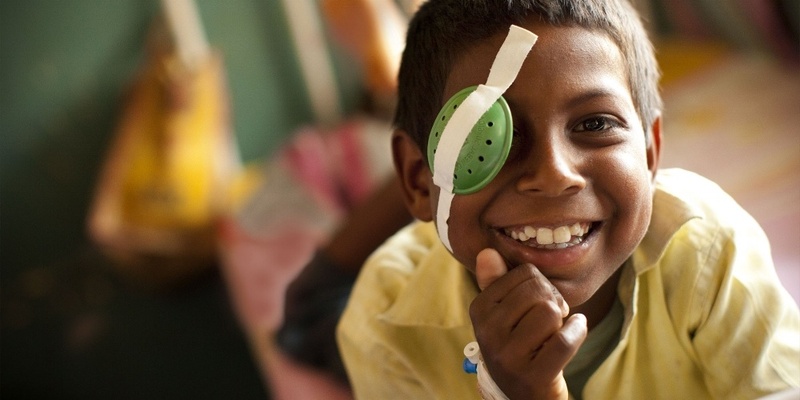 Of the 285 million people in the world who are visually impaired, more than 90 percent of them live in developing countries and do not have access to surgical care and treatments to save vision, and 4 out of 5 are enduring preventable conditions. This is what inspires Orbis’ mission. Doctors perform all types of operations on the aircraft, lecture, and take questions from the local medical teams. In the past five years, 10,000 doctors have been trained, 104,000 nurses and bio-medical engineers and other health care workers, and 11.6 million eye exams have been performed. And Federal Express makes its giant contributions quietly, as do other corporate donors and individuals. A problem is being solved by people and companies that care. This is the way the world gets better, without politics or bragging, just quiet, honorable service to others.